One evening in the Balkan village of Porodin, a group of locals join a former writer on his boat “The Moravian Night” for an evening of storytelling as they float down the Morava River. The former writer’s oration is at once hazy and hyper-detailed, heavy on description but lacking narrative cohesion; he speaks of his travels to various vague localities of his past in an effort to discover some awakened details among the ruins of those memories. 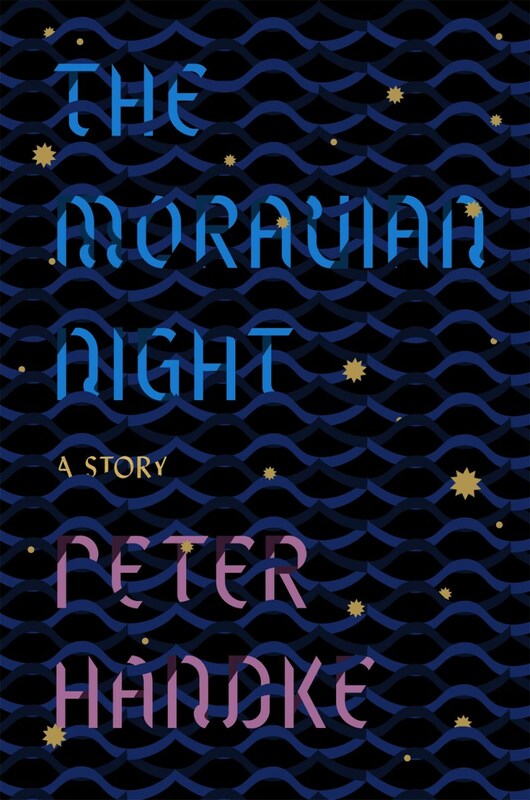 Celebrated German author Peter Handke’s The Moravian Night is an albatross of a book, and even the most seasoned of literary readers will find themselves feeling trapped on deck with the storyteller’s audience. Handke makes his novel inhospitably difficult to follow. The story is told from the perspective of a listener on the boat, but first person pronouns drift seamlessly between the listener and the storyteller. The former writer speaks in long, tangled sentences and at times splits into two voices as he makes casual commentary on his own narrative flights. “During that night on the Morava boat,” the listener recalls, “our host interrupted his story. The event he had been describing seemed to have happened long ago, and at the same time it was taking place again.” Further, the storyteller is often interrupted by other listeners, with their comments noted parenthetically in the text. When they’re not shouting for narrative clarification over minute details (“Where was the small suitcase all this time?”), they gawp in confusion with recurring notes of “(? )” woven throughout the novel. The listener’s narrative, the storyteller’s, his own self-effacing commentary, and the commentary of the crowd amount to a challenging conflux of voices. “(? )” indeed. No, time was and is no problem for me, but rather an enigma. In being, in this one life we are given, at the beginning a pure enigma, the purest enigma, the enigma to end all enigmas, the enigma pure and simple, and then, in time, no, counter to it, a terrible enigma, the euphemism for death, or also merely for boredom, boredom with myself and my not knowing what to do with my time….In storytelling, too, I don’t know how to deal with time. These philosophical stretches reveal worlds about the nature of Handke’s narrative, but are dreadfully difficult to extrapolate. Handke’s novel feels old-fashioned and lost in some timeless history. Beneath its narrative difficulties the novel speaks of changing geographical borders and political upheaval. As he travels throughout Europe, the former writer not only searches his past to reconnect with his memories but to also experience place in a way that can no longer be felt. It’s a difficult jump but Handke invites readers to not only witness the crumbling borders of Eastern Europe and Eastern European identity but also to visualize the decay of fiction, storytelling, and the synthesis of one’s life and the stories they have lived. The Moravian Night has a lot of The Odyssey and Don Quixote in it: each of these stories episodically recounts adventures undergone to reaffirm their hero’s identity. But where Homer and Cervantes expand the possibilities of fiction, Handke tries to close that door. The former writer’s rambling narrative suggests there are stories that cannot be told — or, to go even deeper, can no longer be told. Where Quixote fashioned himself a knight and dreamt himself into one, Handke’s story-teller dreamt of being a writer but woke up from that fantasy. His travel stories reveal a kind of homelessness and lack of identity that perhaps led to that sober awakening. How can a person be a writer if they don’t know who they are or where they came from? There’s a powerful core to The Moravian Night but it is a slog to reach and may not be worth the effort. Handke’s intentions are undoubtedly present, but he doesn’t consider that a reader’s commitment must be earned. 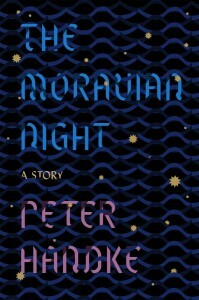 The Moravian Night is a potent but joyless read, destined for seminars and a casual reader’s did-not-finish pile. I agree entirely with your review of Moravian Night. One of the most difficult reads that I have ever experienced. Faulkner’s The Bear was more engaging. I even found Finnegan’s Wake more enjoyable, at least in spots. Hi Alan, thanks so much for reading and commenting. Nice to know I’m not alone on this! Have you read any other Handke? Curious if this was your first or if you came to The Moravian Night after enjoying something else he’d written. Here , first of all, a link that provides entry to the MORAVIAN NIGHT DISCUSSION site. Thanks for the link, Michael. I, too, am sorry I was not enchanted by the Handke. I’ve clicked around on your blog and I think it’s great how you’re tracking the reception of this book. It’s clear you truly believe in it.